ICTs can create digital pathways between citizens and governments that are affordable, accessible and widespread. This offers the opportunity for developing small states to leapfrog generations of technology when seeking to enhance governance or to deepen democracy through promoting the participation of citizens in processes that affect their lives and welfare. For small developing countries, especially those in the early stages of building an e-Government infrastructure, it is vital that they understand their position in terms of their e-readiness, reflect upon the intrinsic components of an e-Governance action plan, and draw lessons from the success and failures of the various e-Government initiatives undertaken by other countries, developed or developing. This book aims to strengthen the understanding of policy-makers by outlining the conditions and processes involved in the planning and execution of e-Government projects. 1.3 Complexity of e-governance – is it all about ICTs? 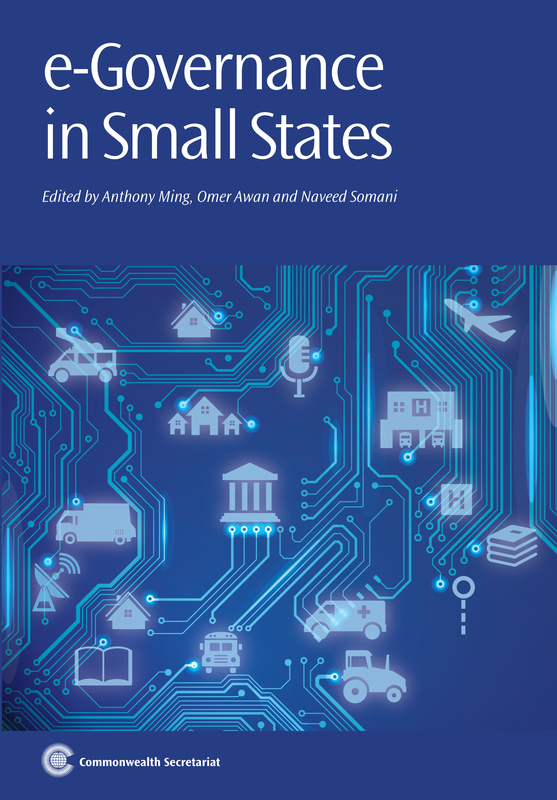 2.1 Why e-governance in small states? 4.2 Why is GPR necessary? 6.7 What is cloud computing? Anthony Ming is ICT Advisor at the Commonwealth Secretariat. Tony previously occupied a series of senior management positions in the Ontario Government and lectured at York University, Toronto, Canada for over 20 years. He is Managing Editor for the Taylor and Francis journal Information Technology for Development. Omer Awan is a Programme Officer at the Commonwealth Secretariat. Previously he worked as Assistance Professor & Research Associate at Iqra University, Islamabad, Pakistan. Naveed Somani is an ICT researcher with the Commonwealth Secretariat. The authors systematically, and with a good dose of enthusiasm, lay out the stages necessary to establish the structures for e-governance. Yet, they also candidly warn that e-governance is not a “quick fix” solution; the journey to attain successful e-governance, if at all, is a prolonged process, which will cross various generations... [S]mall states have a very precarious existence with existential threats constantly looming everywhere. Despite the success of small e-governance projects, it looks like state-level proposals and models are merely tabletop exercises. Read the full ACUNS review here.